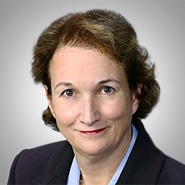 Physician practices face potential medical liability for sloppy management of their sample closets, said Alyce C. Katayama, a health lawyer in the Milwaukee office of Quarles & Brady LLP. She said clinics should make one person responsible for keeping the sample closet organized to prevent dispensing errors, dispose of expired medications and comply with manufacturer recalls. Katayama noted that under the Patient Protection and Affordable Care Act, drugmakers as of April 1 must report to the Dept. of Health and Human Services all the samples they distribute, with the name, address, professional designation and signature of the requesting prescriber.